Google has released its new cloud service, Google Drive, and so far it doesn't look like it's going to blow any of its competition out of the water. Like other Web-based cloud syncing and sharing apps such as Dropbox and Box, Google Drive enables users to share and update many types of files, from photos to documents. And it does so across PCs, Macs and mobile devices, though iPhones are not quite yet supported. Download the app, place the content to be sunk in it, and material is kept up to date across all tools. Google Drive is basically Google Docs on steroids. Google Drive gives users 5G of free storage and can definitely bulk up the storage, syncing and backup options for businesses already using a Google Apps account. Documents, photos, presentations -- just about any file type can be shared. Depending on a business' needs, usage can be expanded to 25GB for about $2.50 a month, all the way up to 16 terabytes for $799 per month. That is far more than most companies need. Billing is managed through a firm's existing Google Apps relationship, making it a quick and easy way to add cloud-based storage when needed. There are promising business features, but also some limitations. As should be expected, Google Drive's search functions are excellent. Also, users can do away with bulky email attachments by sharing files through Google Drive. The tool also adds offline work features. For people who prefer using software that runs on a local computer, such as Microsoft Word, Google Drive can automatically sync the current version of a document so it's updated in the cloud each time it is saved. But deployment can be a headache. Enabling Google Drive for existing Google Apps users takes numerous manipulations of the account control panels. Some files need to be migrated. Employees need to be trained. The migration is most definitely not plug-and-play. 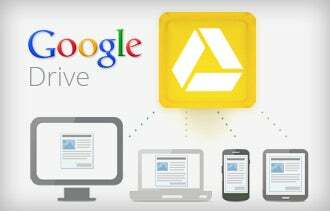 Overall, businesses should find Google Drive to be a feature-rich option for backing up and syncing business files. But for most businesses, there is no reason to abandon other solutions for it. What are your initial thoughts on Google's new cloud service? Let us know in the comments section below.